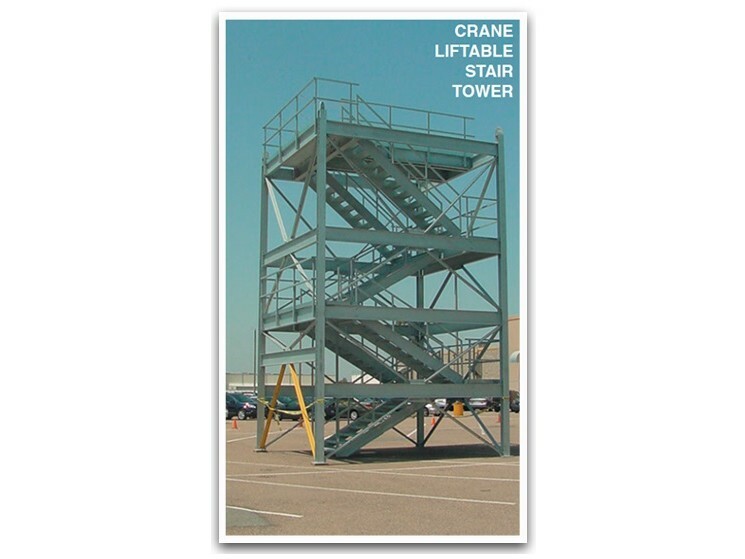 A reliable source for Prefabricated Mezzanines information and a resource for accessing leading Prefabricated Mezzanines and suppliers. Prefabricated mezzanines are raised platforms that are partially assembled and prepared to certain specifications in advance of purchase by an end user. Industrial mezzanines are used exclusively in the context of industrial operations. Every company that is concerned with operational efficiency must take space usage into consideration. In order to be effective, companies find innovative ways to make the most of their work spaces. When a company expands to the limits of the capacity of its facilities, it must make some choices if it plans to continue growing. Companies in this position can move to new, larger facilities, they can expand their current facilities or they can make use of mezzanines, which effectively double the amount of usable space in the areas where they are installed. Prefabricated Mezzanines Prefabricated mezzanines are raised platforms that are partially assembled and prepared to certain specifications in advance of purchase by an end user. Industrial mezzanines are used exclusively in the context of industrial operations. Prefabricated mezzanines are often modular and relocatable to allow for expansion, reduction or removal of platforms. They can be less expensive than mezzanines that are constructed on-site and are often less labor and time-intensive in terms of setup. Prefabricated Mezzanines - Abtech, Inc. This ensures that facility operations will only be disrupted by construction for a short time, allowing workers to go about their jobs without much interference. Prefabricated mezzanines are available in a wide variety of configurations. Customers can choose the height, number of platforms (usually between 1 and 3), weight capacity, beam and column configuration and many more features of their systems. Most industrial mezzanines support beams and columns are made of steel because of the material's durability. These components are connected by heavy-duty nuts and bolts. Mezzanines are made accessible to workers by sets of treaded or grated staircases. Important safety features like railings, reflective or bright-colored tape and markings and other safety features are a requirement for worker protection in many mezzanine configurations (an exception would be walled, platform-mounted offices). When mezzanines are used for storage, they are sometimes supplemented with lifts or conveyor systems for easy transportation of products on and off of the platforms.